Networking is an invaluable business skill and a critical component to making both you and your business a success. Many small business owners believe that they can start a business, and the customers will come. This isn’t always true. Making connections and building enduring, mutually beneficial relationships is a must for any small business. 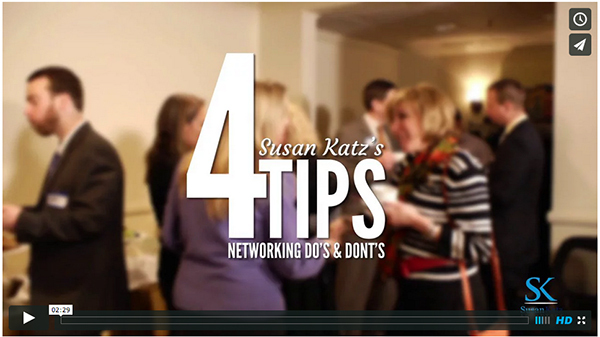 Here is Susan to show you some easy tips to make networking work for you.